It's not that I've been neglecting the blog. Oh no. And it's not that I've fallen out of love with pies. It's just that I've needed a bit of pie downtime, if you will. A time to recuperate, a time to be myself, a time to think. You know, the shock of what happened in March really set me back. It made me ask deeper questions about why us Pierateers put in so much hard graft when a PASTY can just stroll right on in there and be the supreme champion of us all. But that shouldn't be what this blog post is about. Congratulations and fair play to the winner. I don't want to detract from their victory, and it's up to the Melton Mowbray-based national pie competition setter to generate their own rules. I should look at the positives. What this set back has given me is time to think. They say absence makes the heart grow fonder. And during my quite inexcusably long hiatus (or should I say 'pie-atus'), my heart has grown fonder. Each day away from Pierate, I realise how much I miss the buzz of posting about a top pie I've just eaten, or the tears and genuine emotion of eating a soggy-lidded casserole of shame. I have recuperated, I've grown stronger, and now I more passionate about pies than ever. I'm ready to celebrate pies, pastry, and all of the associated industry awards - controversial or otherwise. 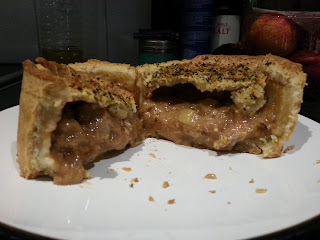 It never fails to surprise me how many more pies there are out there to eat, and how many more blog posts there are to write. 540,000 page views? Bring on 1,000,000! Now onto some pies that I have been eating but haven't reviewed (and probably won't do because it's been too long since I ate them and therefore wouldn't be fair). 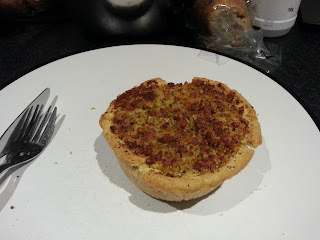 Actually, this first pie is one I ate fairly recently but Pierate reviewed back in March of this year. 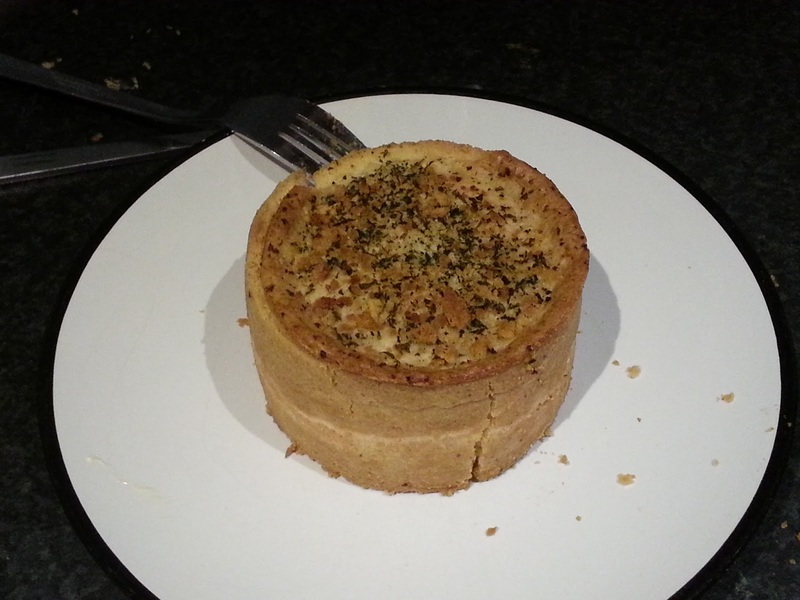 It's a Pieminister Saag Pie-neer. It was certainly pleasant and I'd probably agree with ARL's rating of 5.9/7. Pieminister are always a safe pair of hands with a pie. Next up is a pork pie I never reviewed, from a time when I visited Waitrose and bought as many different pork pies as I could. 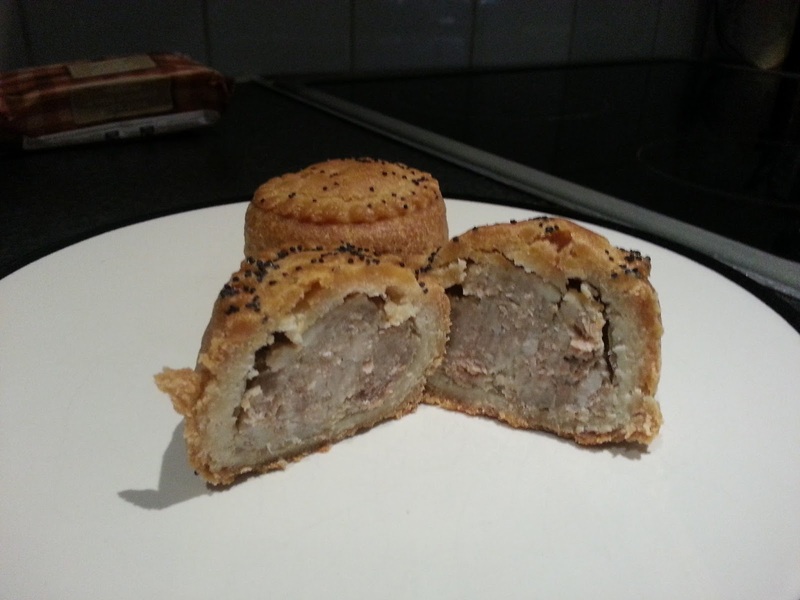 It's an oak smoked pork pie - certainly an interesting taste, and one that I remember enjoying very much. 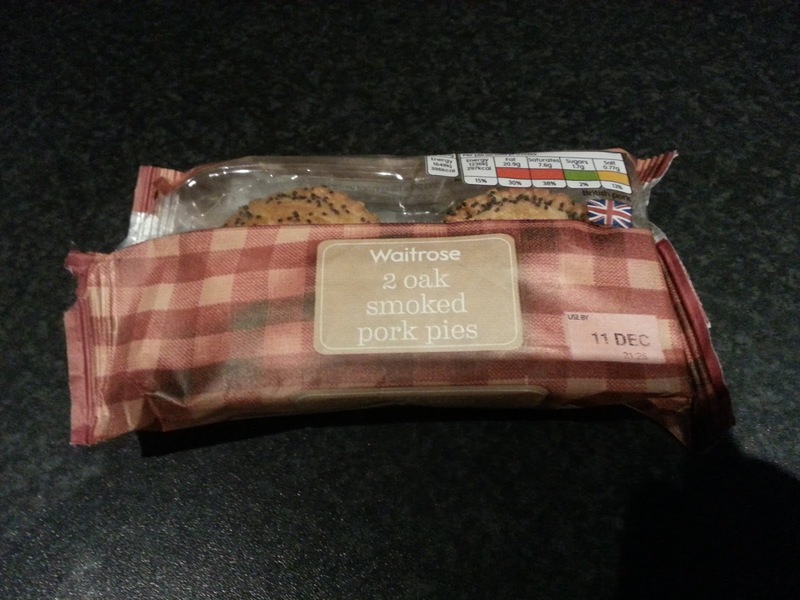 It's a shame I never got round to reviewing it but if I see it in Waitrose again then I'll pick up another pack. 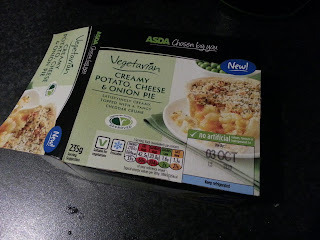 Aha, here's another vegetarian pie that I just really needed to review but never did. Unfortunately I seem to have misplaced the cross-sectional photo, so the outside is all you'll see of this ASDA Chosen By You Vegetarian Creamy Potato, Cheese and Onion delight. Enjoy! 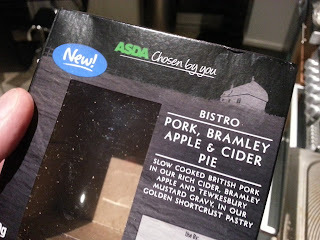 Oh yes, the ASDA Bistro pies. They never fail to disappoint. 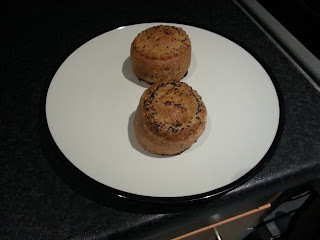 They had a strong start on the blog, with the Ultimate Steak Pie not only scoring highly but also being one of the first pies we ever reviewed. Since then, standards in the ASDA bistro kitchen have evidently slipped, and now all we are left with are these half-baked, half-filled ideas. This ASDA Bistro pork, bramley apple and cider offering doesn't turn that around. Well, there we have it, some pies I have not so recently been eating. I'm really looking forward to posting more actual reviews on Pierate.